I am an accidental environmentalist (or rather, trying to be one) and a nature enthusiast. As a person who has grown up in a village of Kerala, spending most of her childhood with trees and trying to live in a world of fantasy where she could talk to the trees and birds and the little animals inhabited in them, it is but natural that she carry a bit of that little her wherever she goes. In the past decade and half, I have had the opportunity to live in many cities of this amazing country, but I have always found that home is where the heart is – I never really grew up from being that silly girl talking to the trees and butterflies. Being a homemaker and later, a quasi-entrepreneur who work from the comforts of the home, I had very little opportunities to get out there and do things that I really wanted to. However, having a like-minded life partner made my life a lot easier than I ever cared to admit and his switching career from a busy banking sector to something else gave us a moment to catch up with each other and the life around us – literally. His involvement in the nature club activities at his office made him a birder and a nature enthusiast like never before. As he went on nature camps and other environment related activities, I used to eagerly wait for him to be back and listen to all the wonderful tales he had to tell. Through him, I got to know many wildlife and nature enthusiasts by name and was in awe of the level to which people would selflessly go for the sake of nature and life. Soon, we started going off on little birding trips every now and then – sometimes only the two of us, sometimes with other enthusiasts from his office or nature club. It was during such a trip that we proceeded to the Athirapally – Vazhachal forest area. Anyone who has grown up in Kerala would have heard about Athirapally at least once in his or her lifetime. The place is well known for the breath taking waterfalls that has become an iconic post card for Kerala tourism. The beautiful waterfalls at Athirapally merits visit at least once in a lifetime. The sheer joy of watching the water cascading from the heights is a magical scene in itself. 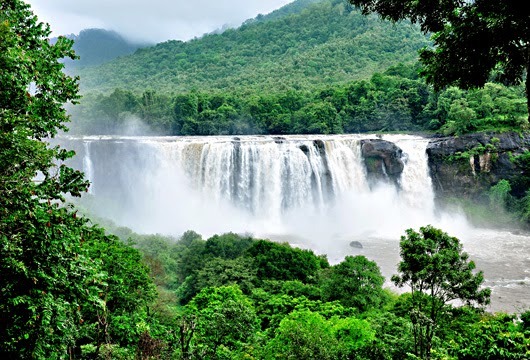 Along with the Vazhachal waterfalls, which, some might feel, is not as magnificent as Athirapally, this area has become a hot spot for tourist activity. What was a lesser-known destination of unspoilt nature has now become a hub of tourism. As commercialization set in, the precincts of the water falls saw a theme park being set up, and this ensured more and more people visited the place. And it sure did; schools and colleges started taking students for one-day picnic to the waterfalls and the theme park. As the fame grew, Athirapally became a favourite spot for filmmakers as well. A handful of films appeared on the silver screen with the now famous waterfalls in the background of song and fight sequences, making the place all the more famous. More and more people started pouring in. As the place hogged limelight, certain vested interests too started noticing the place. For them, Athirapally seemed the ideal place to promote a hydroelectric project. Soon, they huddled together and tried to promote the idea as the solution for the unending power problems of the state. The Kerala State Electricity Board (KSEB) proposed to set up a 163 MW hydroelectric project at the Athirapally waterfalls. In 2007, the Union Ministry of Environment and Forest gave clearance for this project, much to the dismay of environmentalists, who have been opposing this project right from the beginning. Now, I confess that I take pride in belonging to one of the most literate states of the country and that the general standard of living and social awareness of the people of my state is high. However, of late, I am discovering that it could not have been far from truth. Despite being an educated Malayali, I am not fully aware of the consequences if the proposed project comes here in Athirapally. Furthermore, if I had not taken an interested in birding and associated nature activities, I would not have gone to Athirapally and Vazhachal and I would not have discovered for myself the hidden gems of nature. So, if a fellow Malayali is ignorant of this project and the harmful effect of it, I guess I can’t blame him too. For instance, if I had not gone there as a birder, I would not have noticed the beautiful pied Hornbills that flew to a tree near where I stood in awe of them. 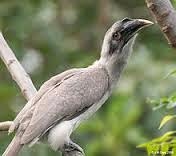 I would not have delighted myself by watching and taking numerous pictures of the Malabar Grey Hornbills as they flew from one tree to another without any care in the world. Nor would I have lost myself in the joy of watching the countless Malabar parakeets in their pleasant green shades and red bills having fun in the sun. I would not have had the chance to admire the chestnut bee-eaters and Blyth’s starlings from a closer range than I have ever seen them. Neither would have I realized that it is one of the rare areas where one has a great chance of seeing all the four hornbills – Malabar grey, Indian grey, Indian pied, and the Great Indian Hornbill (which is the state bird of Kerala). If one has seen, at least once, these beautiful creatures and have had the pleasure of observing them, even a few seconds, one would realize what a wonderful treasure trove the nature is! And I have not even mentioned other birds like sunbirds, trogon, tree pie, kingfisher, myna, spider hunter, leaf bird, shikra, eagles and many more species of birds, which bring inexplicable joy to our minds. For, me it was like a trip back to my childhood, where I had no worries than watching these birds enjoy their life. A friend visited the place recently, and she was treated with the sight of a flock comprising of 27 or more hornbills in the area. Birders, naturalists, environmentalists all who visit the area are excited and thrilled at the sheer number of species of birds and animals that inhabit the area. The Chalakudy River, which is the lifeline of the flora, fauna and avifauna of the area is the ideal habitat for many unique amphibians and fish. According to the National Bureau of Fish Genetic Resources Lucknow, the Chalakudy River is one of the richest rivers in the country as far as fish diversity is concerned. Furthermore, the river is one of the hotspot of bio-diversity. It is said that out of the 319 species of flowering plants identified in the area, 24 species are endemic to the Western Ghats and 10 of these are rare and endangered. Avid birders, nature enthusiasts and photographers like Sangeetha A Balakrishnan, V M Dileep, Krishnadas Mallya, Sreelal, naturalists like Daniel V Raju and many more have voiced their concerns about this rich eco-spot. They all hope that people will understand the need to preserve the nature and not to destroy it further before it is too late. Efforts are on to educate people on the need to protect nature. I do hope that many more nature enthusiasts and environmentalists will take up the issue and work together to keep our forests and rich ecology intact. By proposing the hydroelectric project, the KSEB has sounded the death knell for these priceless treasures of nature. And by clearing the project without really studying its impact on nature and environment, the centre has also taken an irresponsible stand on the matter. If the project takes off, it would do irreversible damages to the environment, because if the course of the river were diverted for generating electricity, then the waterfalls would soon dry up. It may also displace and lead to eventual extinction of a primitive tribal clan in the area named `Kadars.' All this will happen, over and above the loss of flora, fauna and avi-fauna and the equilibrium of nature if the project takes off. I hope that people will stand up for nature and see through the hollow reports generated to serve vested interests, which say that the only hurdle to the project is the Hornbill, which can be rehabilitated to some other area. It is an insult to the common sense of people that in this age and time, people are being given such incredulous justifications for destroying nature. If we won’t wake up from the slumber of indifference and inaction, soon, our very existence can be a big challenge. The day we realize that money can’t buy us everything and unhampered destruction of natural resources has led to our own downfall, it will be too late. So, if not for us, but for our kids and future generations, let us try to be a little less selfish and try to preserve a bit of earth for them in livable state and not as a waste! മരം, പ്രകൃതി, ജീവജാലങ്ങള്‍!!! വെട്ടീട്ടും വെട്ടീട്ടും മതിവരുന്നില്ല! Easy to destroy... hard to preserve! അതിരപ്പിള്ളി കണ്ടിട്ടില്ല, മുന്‍പ് ഐശ്വര്യ റായ് ഒക്കെ അവിടെ ഷൂട്ടിംഗിന് വന്നതായി അറിയാം.